It’s summer time and gardens are flourishing! Check out Martha Stewart for some flower arranging tips. 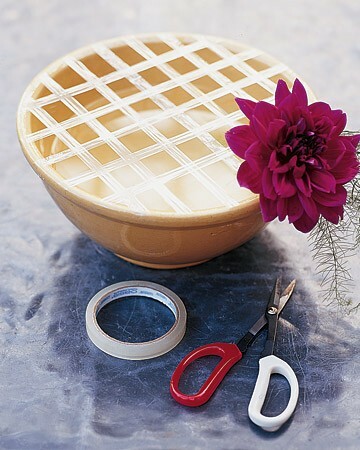 Use a bowl as a vase, sturdy tape helps anchor flowers in place.